England's No 1 goalkeeper Jordan Pickford has signed a new six-year contract at Everton. The 24-year-old joined from Sunderland for £30m in summer 2017 and went on to pick up a hat-trick of prizes at Everton's end of season awards in May. 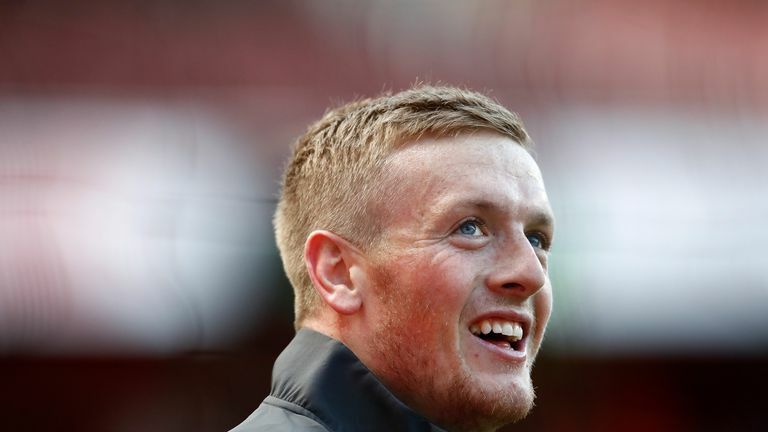 After keeping 10 clean sheets in the 2017-18 Premier League season, Pickford became Gareth Southgate's first-choice goalkeeper for England at the World Cup. Sunderland-born Pickford impressed on their run to the semi-finals in Russia - most notably saving Carlos Bacca's penalty in England's first World Cup shootout win - and he is now intent on securing legendary status at Goodison Park. "When I made the move last year I thought Everton would be a great club to come to and the right step in my career," Pickford told evertontv. "Getting the opportunity to become England's No 1 was down to being at Everton, I believe, and being able to put in solid performances week in and week out. "I want to play as many games as I can for the Club, that's my goal now. Hopefully, I can continue to progress, become a better goalkeeper each and every day and keep that England No 1 shirt as well. That's another aim. So far this season, Pickford has shipped in 11 Premier League goals and kept no clean sheets. He will look for a first shut-out when Everton host Fulham on Saturday.